Shades of October 1962 ... and things are moving quickly. In response, Kim Jong-un is now threatening Guam. 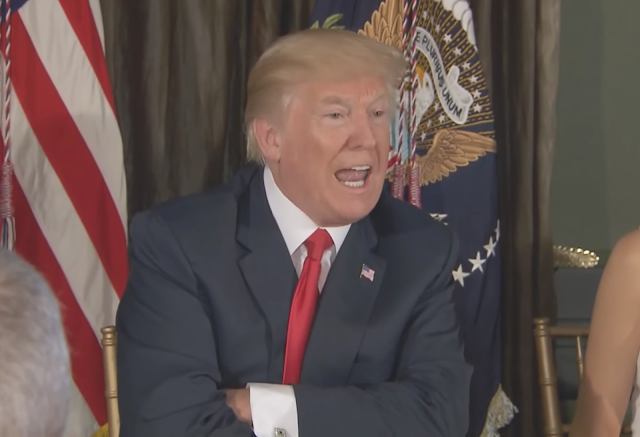 What does Donald Trump's nonverbal behavior in this video tell us? 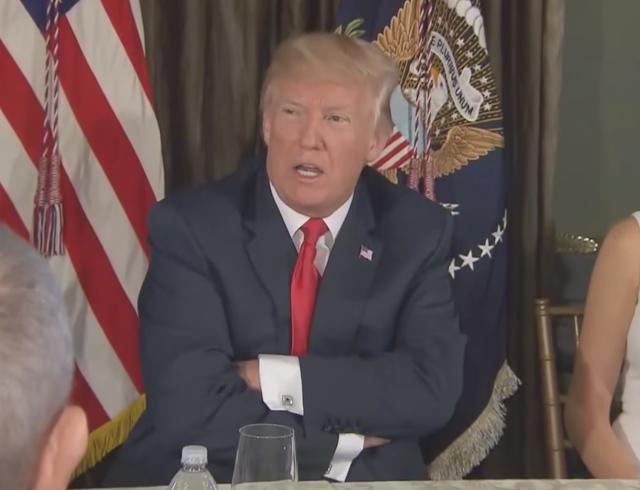 It's highly unusual for Mr. Trump to have his arms crossed - particularly in such a hand-covered and tighten fashion. It's even rarer for him to do so while he's speaking. Moreover, he's also sitting back, away from the table, against the support of his chair - which is also highly unusual for him. This cluster of behavior is highly beta and a form of self-hugging/self-comforting. It indicates a low level of emotional comfort and lower confidence. And yet - the President's verbal statement, vocal qualities (paralanguage) and his facial nonverbal displays during this same time are quite extreme and very alpha in nature. Summary: This is an excellent example of alpha-beta hybrid behavior. Part of President Trump's display is very alpha - while other portions are quite beta. He is trying to be what he considers presidential while weighing the very real ramifications of "fire and fury". This indicates that Donald Trump's threat is very real - and, because his statement was extemporaneous, it carries even more weight. He is strongly and seriously considering a preemptive strike against North Korea in the near future.